As I mentioned, I'm not headed back to school myself this year, but that doesn't mean that I don't take the time to evaluate my wardrobe and buy a couple of new pieces for fall! I've teamed up with Kohl's to put together the perfect back to school outfit. Each of the pieces looks so chic together and can easily mix & match or be layered up to create new looks as the weather changes. I've rounded up 3 key pieces & I have some tips on how to get the most versatility out of them for the new season. I love the selection of Junior's clothes at Kohl's- that are modern & fun enough for me in my 20's as a petite fashionista. Plaid Shirt: This plaid shirt is made from a cozy flannel-like material. 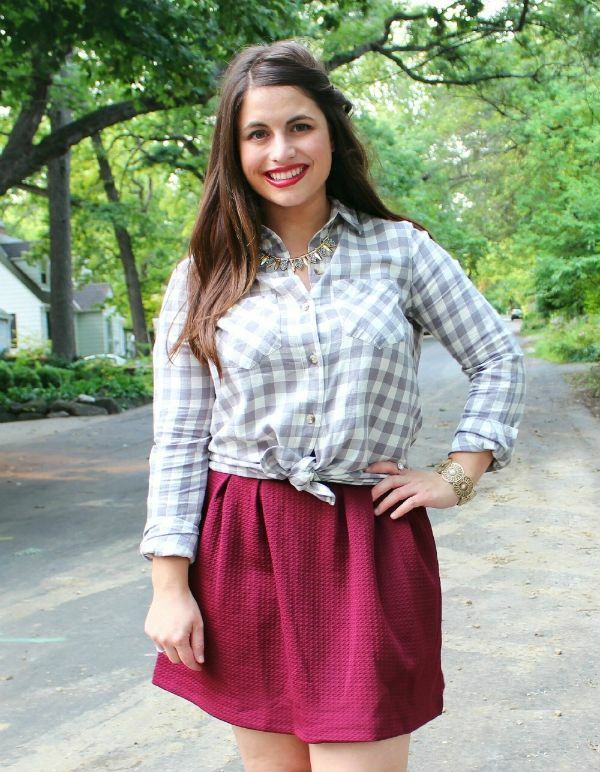 Plaid is a timeless fall pattern, but I love it in the gingham for a preppy feel. I like to knot them when wearing them with a skirt or tuck in the front if wearing with a pair of denim. You could also layer it under a sweater or graphic sweatshirt when it gets colder. Pleated Circle Skirt: This skirt is super flattering because it sits up higher on the waist (where I'm my smallest). I love this garnet, fall statement color for a fun twist (plus, Florida State colors, of course)! Switch it up by layering on tights and black leather riding boots. Statement Necklace: Drusy, natural stone-style necklaces are trending for fall. This necklace has a more polished feel because it's mixed with a polished gold. Statement necklaces are quick way to dress up a basic tee or add some visual interest. There are tons of great deals going on right now, so be sure to check out what's new at Kohl's! What's on your must-have list for fall? 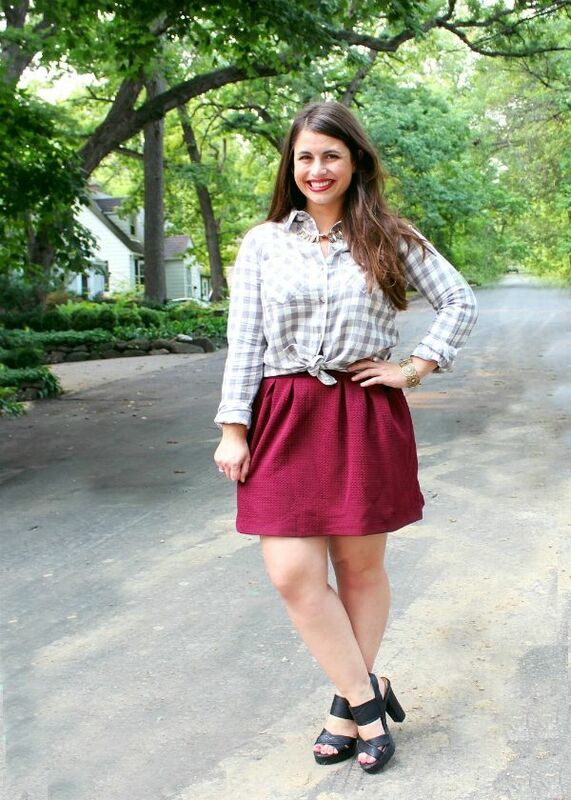 Disclosure: Thank you to Kohl's for sponsoring this post & the selection of chic fall finds! LOVE this color of gray for a gingham shirt - very chic! Super cute outfit!